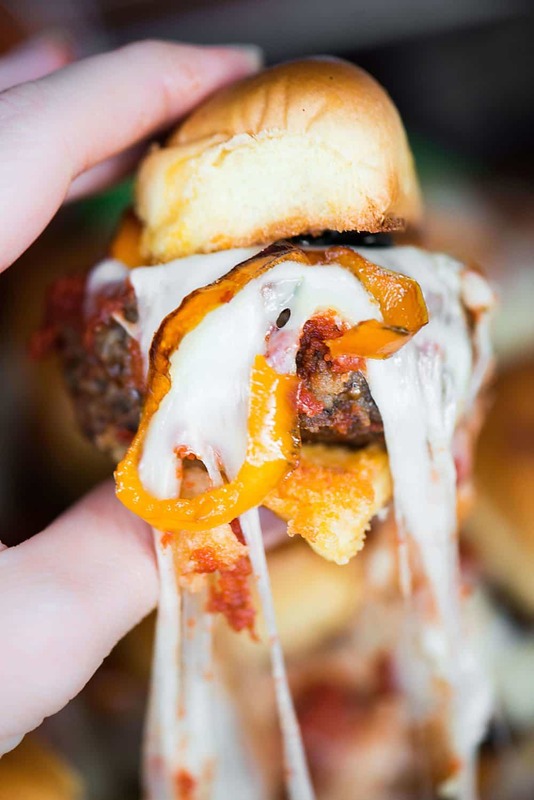 Mushroom Blend Meatball Sliders, made with a perfect blend of ground beef and mushrooms, held together by a tasty potato roll, make the best tailgating recipe! Mushroom Blend Meatball Sliders might just be the best food you can enjoy while tailgating and waiting for the big game to start. It’s the ultimate game day grub. The perfect combination of a tender patty smothered in marinara sauce and gooey Italian cheeses, all wrapped in a tiny potato roll is all you need to satisfy your comfort food cravings while watching the big game. 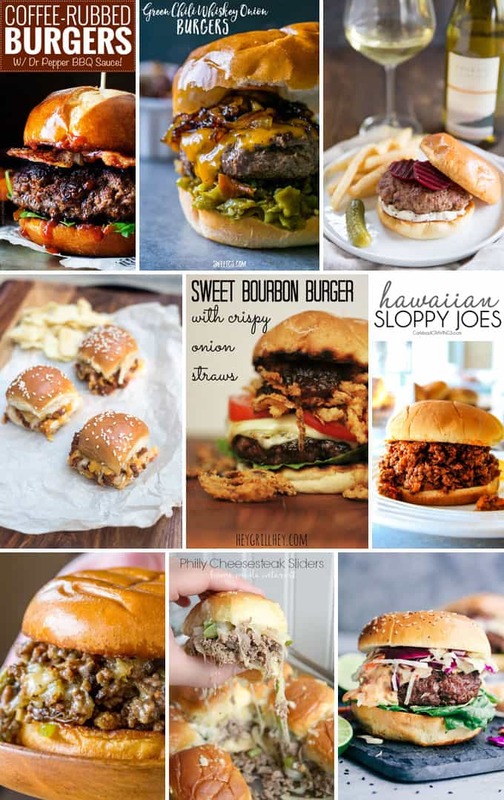 Sliders are such a great choice for a game day feast because they can be made in various stages ahead of time, if desired. I’ll give suggestions on how you can do this below. And who doesn’t love a meal that doesn’t require utensils? Only a couple of hands and a mean appetite are needed! This post was sponsored by Martin’s Potato Rolls and The Mushroom Council. All opinions are my own. Ever since the first time I enjoyed Martin’s Bread, my family has absolutely loved it. In fact, every time we get a new box delivered to our house, I have to protect it at all costs. But one thing I had never tried was The Blend. 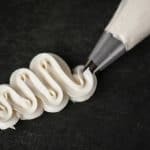 I’ll explain more why this new method pretty much changed the way I cook and how no burgers, tacos, meatloaf, lasagna, pasta sauce, or meatballs will ever be the same again. For this recipe, I decided to use two different kinds of mushrooms: white button and baby bella. No particular reason why other than I like a little variety, but you can take advantage of your favorite mushroom and use any variety you’d like. Oh, how I’m counting the days until I can go foraging for chanterelles in the forest between my house and the coast. Be on the lookout for a new post with a mouthwatering Chanterelle Burger this fall! What is The Blend, you’re wondering? Well allow me to share! Cook your mushroom-meat blend to complete the recipe. You can most definitely use your hands to shape these meatball slider patties, however I happened to have a burger press with a slider insert. Not only did it create perfectly shaped and sized slider patties, but I couldn’t believe the mixture yielded a perfect dozen! 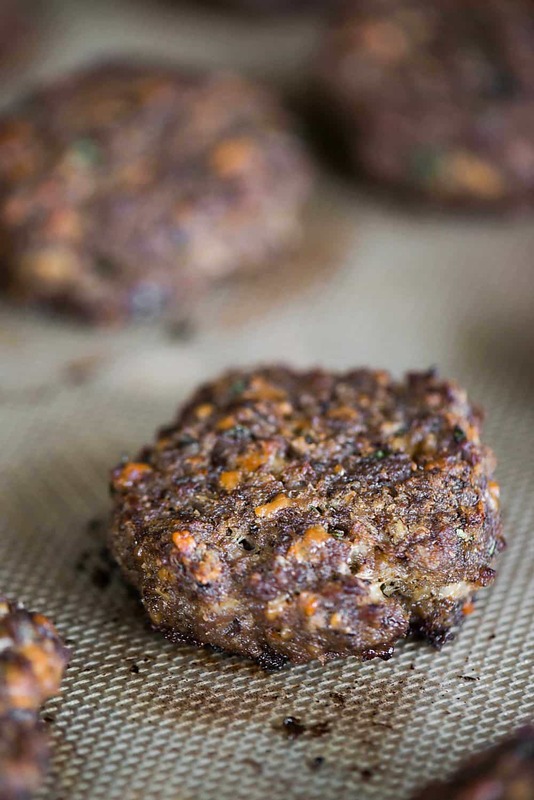 I can tell you that had I not added the mushrooms to create The Blend, not only would the final meatball slider patty not have tasted as good, but I definitely wouldn’t have been able to create 12 patties from just one pound of ground beef. Don’t they look incredible? 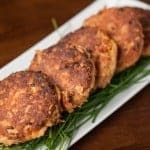 You can easily cook these mushroom meatball slider patties on the grill, but I chose to cook them in the oven. Either way, I’m confident they’ll turn out perfect. And did you know that this month is National Mushroom Month? I adore mushrooms year round in everything from savory breakfasts like omelets and scrambles to dinners like your traditional Salisbury Steak and Stroganoff (I can’t wait to make these with The Blend). But there’s something about the fall season and the many ways you can incorporate mushrooms into any meal to simply add flavor, vitamins, and texture. You can get all sorts of information and ideas from The Mushroom Council’s website. One of the many tricks to make these mushroom meatball sliders absolutely perfect is to toast the buns. 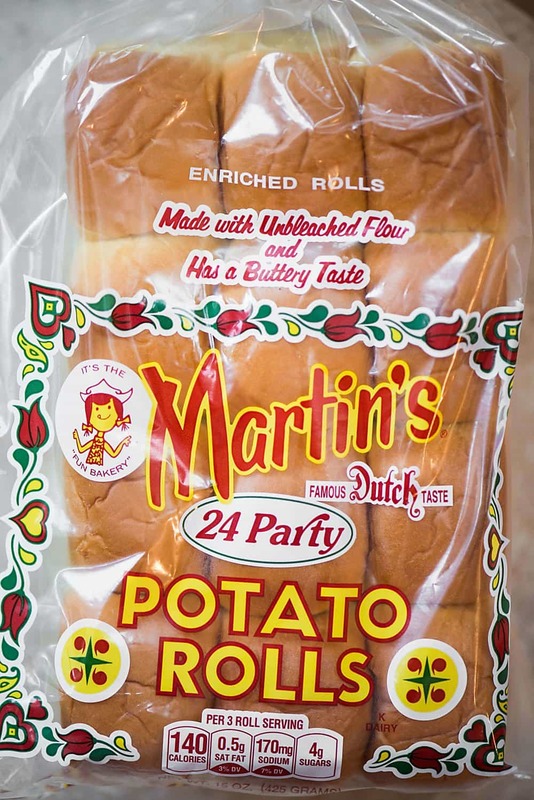 I’m not kidding when I say that I love Martin’s Potato Rolls so much that I have to fight the urge (and my kids) to avoid just shoving them straight out of the bag into our mouths. Martin’s not only has the best taste, but they are so pillowy soft. That is why toasting is a must before you assemble the sliders. 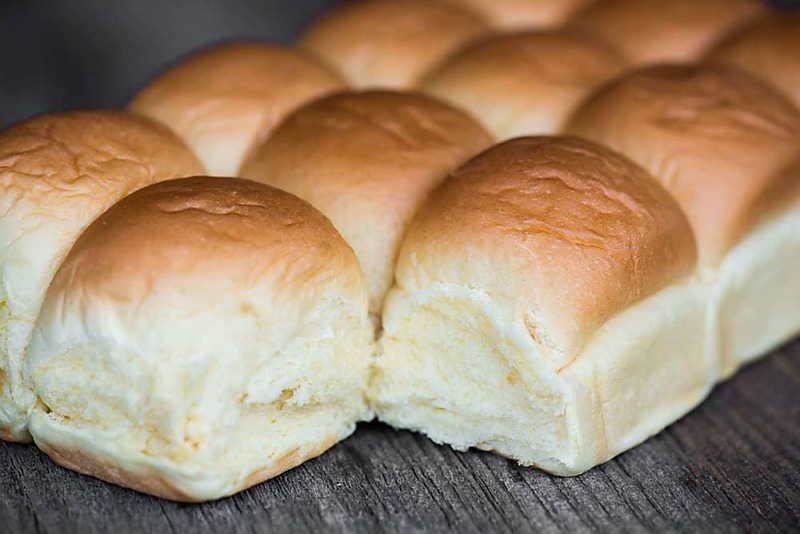 Since you soak the patties in warm marinara sauce before assembling, your potato rolls would get mushy if you don’t take the time to toast them. 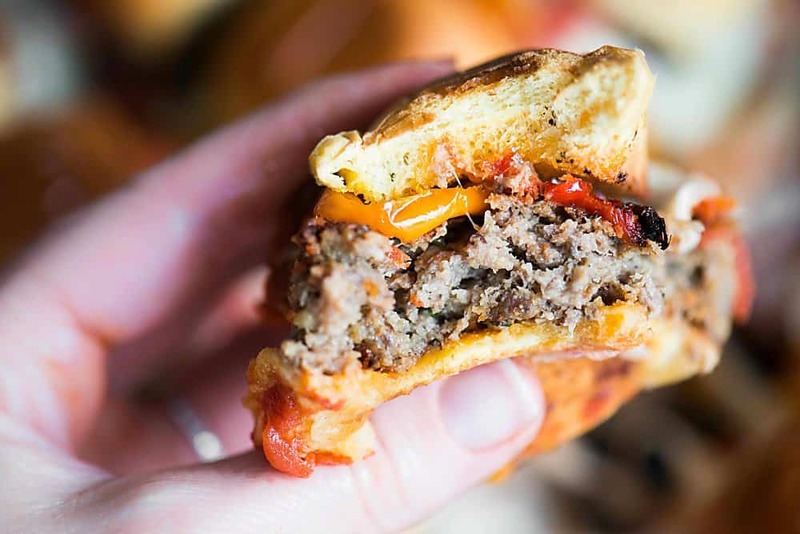 But after only five minutes in the already hot oven, your golden brown perfection works as the perfect vessel to hold your mushroom meatball slider and transport it from the plate to your mouth! I had some mini peppers in my refrigerator so I decided to toss them in a bit of olive oil and roast them in the oven while the slider patties were cooking. This is optional and you can just as easily use jarred peppers, but I highly recommend it! Not only do they add to the taste, but they add a little pop of color which always makes me happy. My only regret is that I didn’t make more. And just look at those rolls! YUM!!! 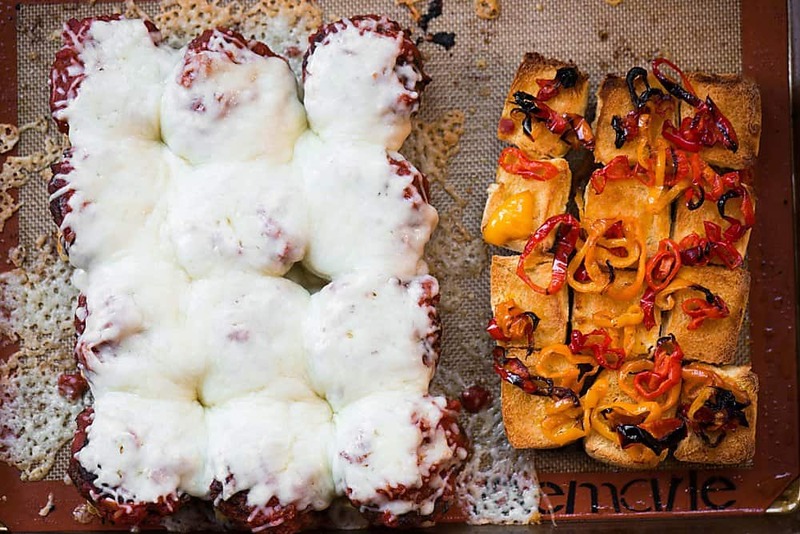 Don’t they look amazing with all of that ooey gooey cheesy goodness? Fun fact: even though my husband and I are a huge lover of mushrooms, our kids are not. I can’t blame them only because I was the same way when I was little. But since mushrooms are such a great thing to incorporate into your diet, I want them to eat them. 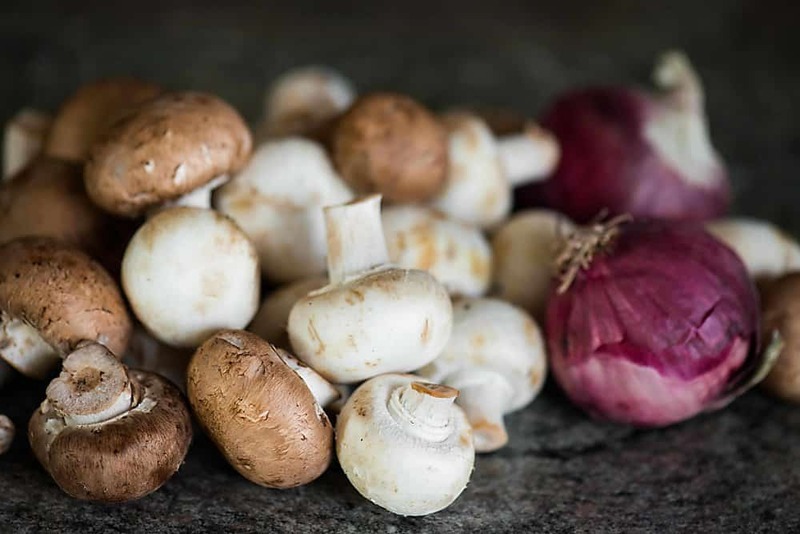 Mushrooms are low in calories, fat-free, cholesterol-free, gluten-free, and very low in sodium, yet they provide important nutrients, including selenium, potassium (8%), riboflavin, niacin, vitamin D and more. Living in the Pacific Northwest, vitamin D is something we always need. Anyway, I wanted to tell you that my son had no idea that the slider patties were 50/50 mushrooms and meat and I only let him in on my little secret after he devoured what I put in front of him. So, rest assured that even if your kids or spouse don’t love mushrooms as much as you do, you may easily be able to incorporate them into a meal using this method. You can chop up the mushrooms and onions, saute them, and allow them to cool. Then combine them with the other patty ingredients and store them in a tupperware and take the blend with you. 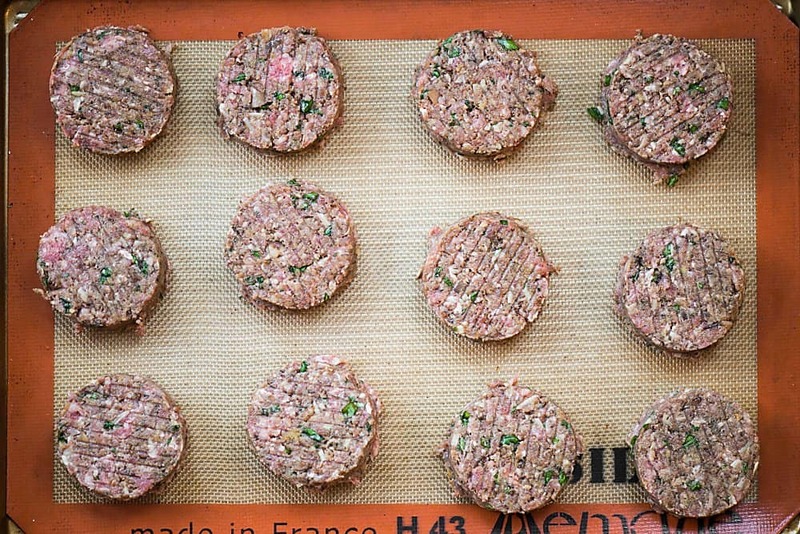 You can shape the patties and freeze them individually on a baking sheet covered in parchment paper. Once frozen through, store them in a resealable freezer bag. 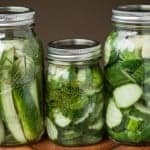 Prior to cooking, you can allow them to fully thaw or even put them on the grill or in the oven frozen. If frozen, they’ll just take longer to cook, but they’re small enough that it won’t matter. You can cook the patties ahead of time, combine with the marinara sauce, and simmer in a pot before assembling. Super easy! 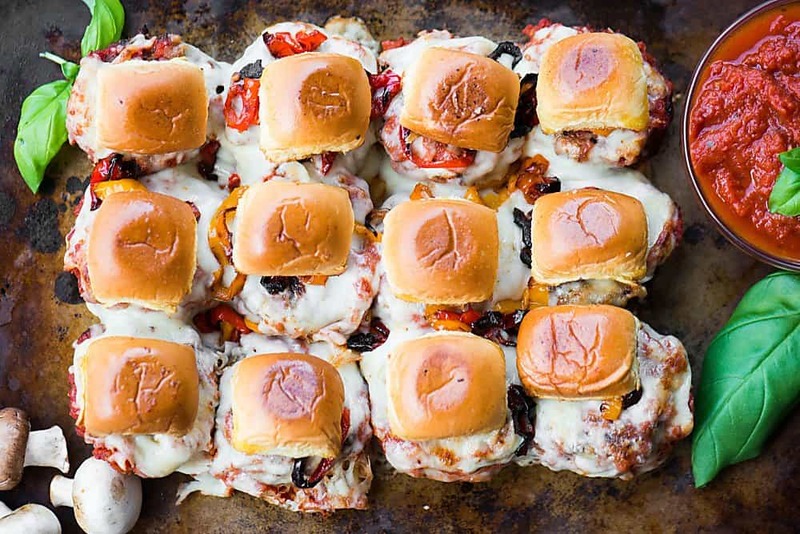 If you’re tailgating and only have a grill set up, the assembled sliders will heat through and melt perfectly if using a baking sheet. As amazing as these mushroom meatball sliders are, I want to show you how many more recipes you can use Martin’s Potato Rolls and transform them by using a blend of mushrooms and protein. 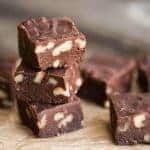 Check out this recipe round-up below! Mushroom Blend Meatball Sliders, with a perfect blend of ground beef and mushrooms, held together by a tasty potato roll, make the best tailgating recipe! Combine the mushrooms and onion in a food processor and pulse until they are finely chopped and resemble the texture of ground beef. Heat the olive oil in the largest saute pan you have over high heat. Once the oil is hot, add the mushroom and onion mixture and allow to cook, stirring occasionally for 10-15 minutes. During the last minute of cooking, add garlic and red pepper, stir to combine, and allow to start turning golden brown and fragrant. Remove mixture from heat and allow to fully cool before combining with other ingredients. Preheat oven to 400 degrees F. In large bowl, combine ground beef, bread crumbs, grated parmesan, egg, fresh basil, and cooled mushroom mixture. Use hands to thoroughly mix but try not to over work the meat. Shape into 12 evenly sized slider patties and bake in preheated oven for 20-25 minutes. Add marinara sauce to small pan and heat over low heat until heated through. 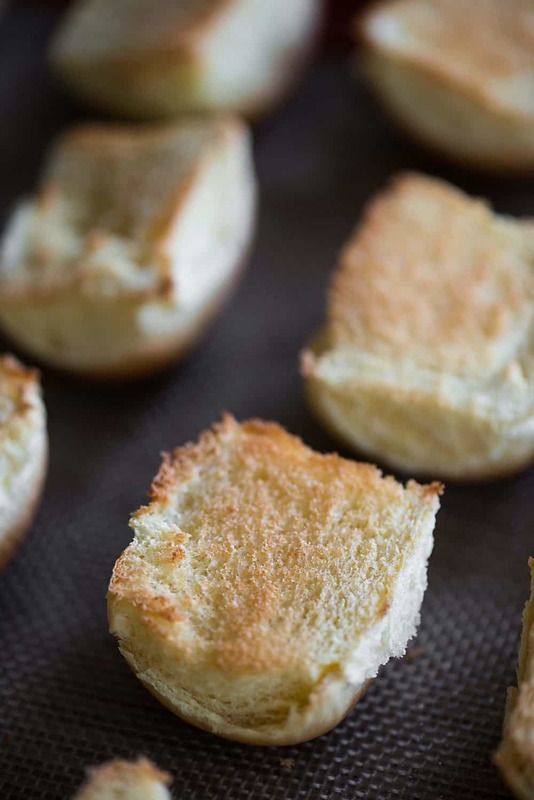 Split Martin's Potato Rolls and toast in hot oven, open side up, for five minutes. 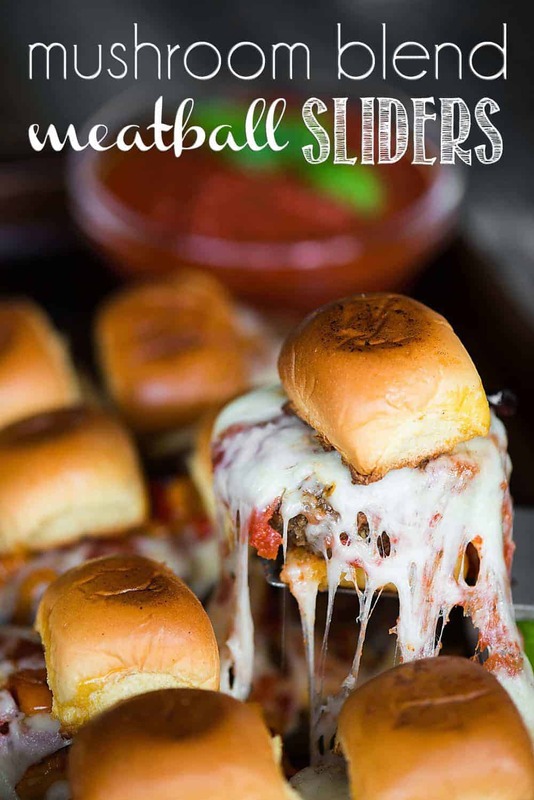 To assemble sliders, dip each slider patty in the hot marinara sauce and place on top of toasted Martin's Potato Roll bottom. Cover with Italian cheese blend. Add roasted peppers, if desired. Return to oven for another 5-10 minutes to allow the cheese to fully melt. Serve with remaining warm marinara sauce. Enjoy! Toasted buns (my mom has made a potato bread lover out of me!) and mushrooms in burgers = perfection!!! These look SERIOUSLY epic! Totally perfect for game day! I love that you added mushrooms! LOVE that you added mushrooms! 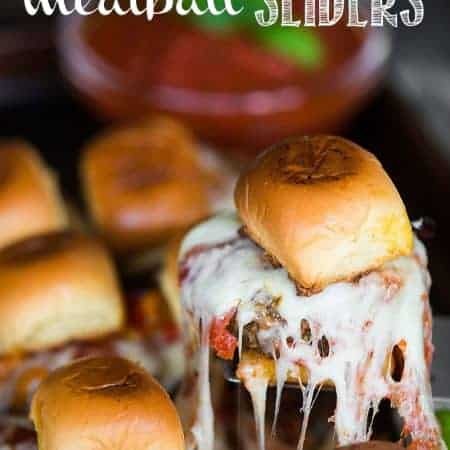 I sure wish I had a plate of these sliders for my lunch!! I love mushrooms in a burger. Such a fab idea for sliders. Dang, these look incredible! I can’t wait to try them!